Do you believe kids are one of the most stressed out people on earth today? Do you think they should be saved from the burden of searching for important tools in their bags when they are in the classroom? Give them these personalized multifunction rulers so that they have required tools in hand and stay relaxed. These promotional giveaways for kids are well-suited for all types of businesses that are on a lookout for effective and efficient promotional gifts. Your brand information will remain before the kid every time the ruler is used for various purposes. Our prices are one of the most affordable and you can further with savings by bulk ordering from us. 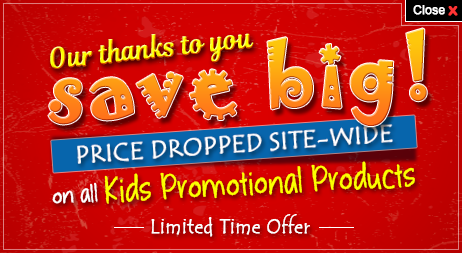 Save on e-design proof and artwork assistance, too. Our fast production times and fast shipping will allow you to receive your order before the next promotional outing. Don't Rule Out Promotional Possibilities that Custom Printed Multifunction Rulers Offer! Whether you own a home improvement store or looking for a promotional item that will be loved by kids at your school, these promotional multifunction rulers are going to be a great hit. These multifunctional rulers are equipped with calculators, magnifying glasses and other features. Your young recipients will appreciate these items which they can use at various places. Students will love to carry these multifunction rulers during exams, quizzes and competitive events, where they have to accomplish a lot in a short time. 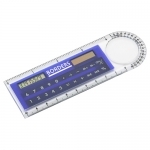 These promotional multifunction rulers are ideal to promote any business that deals with measurements. Kids who use these multipurpose rulers will share it with elders and they will take notice of your brand logo printed on these rulers. Customized multifunction rulers are one of the most successful giveaways and they work for everyone. Why are they so popular? The answer lies in their multipurpose designs and their handiness. These compact sized rulers can be carried in pencil boxes or kids can carry them in pencil pouches or along with stationery sets. There are various multipurpose tools equipped with rulers and you can select them based on your requirements and budget. If you notice, most of these features are used by kids and their parents almost on a daily basis. 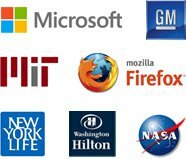 This means there is a great chance for your brand logo to gain maximum exposure. Most students will love to show these multipurpose rulers to their friends and elders which will again bring you some serious admiration from potential customers. You can combine logo printed multifunction rulers with other stationery items or offer them as a compliment with pens and pencils, notebooks or other promotional giveaways for kids. Our selection features multipurpose rulers that will easily fit into your budget. If you are still puzzled about why choose promotional multifunction rulers for your next kid's friendly promotion, give us a call at 855-454-3786 or write to us at info@promo4kids.com.